Ai-Kon » Offical Ai-Kon Afterparty! When it’s over… It’s NOT OVER!! 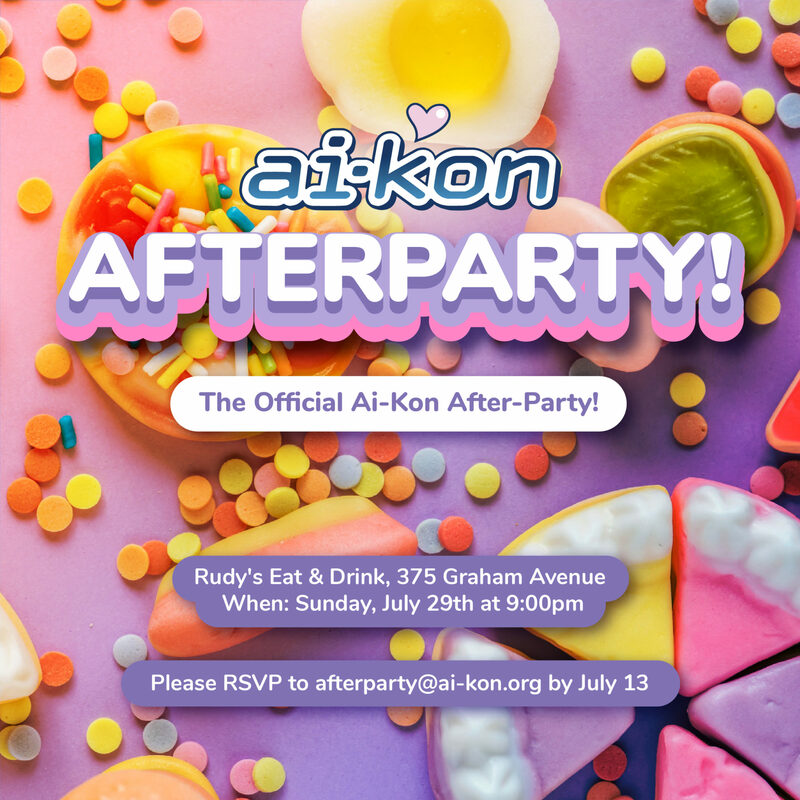 Join us for the Offical Ai-Kon Afterparty! We are very excited to invite everyone to our official after party taking place Sunday night after the con. Join us and maybe even some special guests for games, music and tons of fun at Rudy’s Eat & Drink starting at 9:00 pm! Attendees must be 18+ or older.